The first East Belfast Yoga Festival was put together by Claire Ferry at Maitri Studio and Susan McEwen at Yoga Quarter, to bring yoga out into the community of East Belfast. Yoga means 'union' so this is collaborative, inclusive yoga for everyone on their doorstep! Read more about each studio, and about the festival, through the links below. The first festival took place over 5-7 October 2018 with loads of FREE events and classes. Attendance was incredible for year one, and the feedback was amazing…so much so that we’ve booked 4-6 October 2019 for the next festival! If you have suggestions or would like to get involved, please email on hello@eastbelfastyoga.org. We’d love to hear from you. 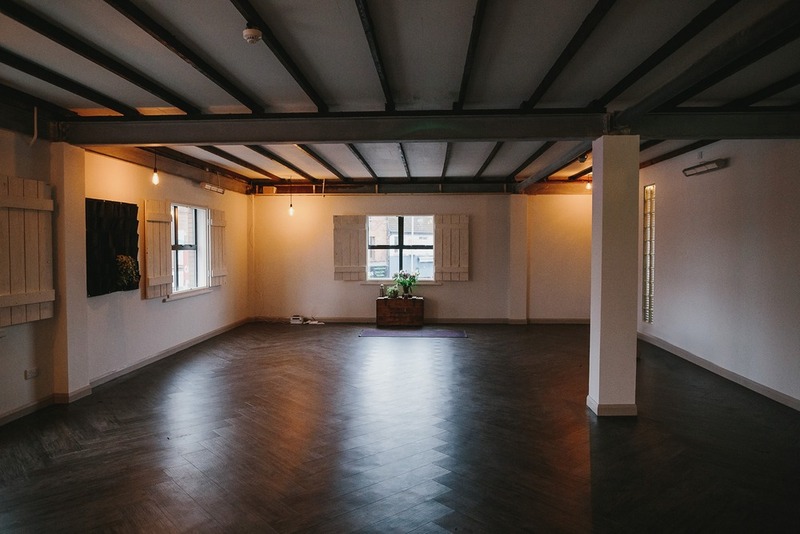 Maitri Studio was established in 2014 as the first East Belfast yoga & pilates studio, aiming to provide a diverse programme of yoga, pilates and other wellbeing classes, events and workshops for local residents and commuters on their way through. Yoga Quarter is a local yoga studio recently opened in the heart of bustling Ballyhackamore. We offer a variety of yoga classes to suit different abilities, ages, genders and styles. Our infra-red heating system will keep you warm and cosy! A mixed class of ages, genders, flexibilities, injuries, ailments, backgrounds...it doesn't matter! All people having fun! Yoga has an ancient past, coming from mental, physical and spiritual disciplines from India. Yoga as now widely experienced in the West has grown from this, combining modern anatomical knowledge, western philosophies and new understandings of the brain and its workings. In our teaching we aim to harness the use of physical postures (asanas, or yoga poses) to help people find freedom and health in the body and promote recovery from injury. At the same time, students find that these poses combined with mindful awareness of the breath help reduce stress, improve sleep and benefit mental wellbeing. Through the practice of yoga we learn to really listen to our own bodies and minds, and in that way find it easier to listen and accept others as we recognise the fundamental human qualities in all of us. Above all, we approach yoga (and life) with a light-heartedness and openness, a willingness to laugh or cry, and a sense of fun! The meaning of yoga is 'union' and it is fun, joy and loving kindness that bring together communities around our studios, our city, the world and beyond. We do not promote any one spiritual path and indeed teachers of yoga at Maitri Studio, Yoga Quarter and elsewhere come from a range of spiritual or religious backgrounds, or none. Everyone welcome! In our first year we had to define our boundaries somewhere, especially as we ran this project on a shoestring and lots of goodwill! We went for a pie-shaped slice of East Belfast with Maitri Studio approximately at the tip near the Albert Bridge, extending south along Woodstock/Cregagh Rd, and east along Newtownards Rd and then bounded by the Outer Ring Rd (A55). In 2019 we may extend a little further: Strandtown, Airport Rd, Ballybeen, Gilnahirk…all to be decided as we work up next year’s festival! Want to help? We'll need input from community groups wanting free yoga taster classes, yoga teachers who'd like to teach, anyone who might like to offer or suggest a venue, and of course anyone who'd like to donate money towards the event! Contact us by emailing hello@eastbelfastyoga.org. We'd love to hear from you! Alternatively via @eastbelfastyoga on instagram and facebook.